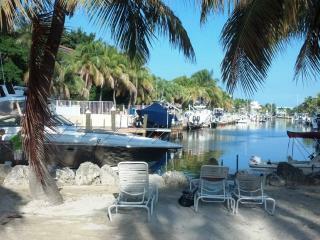 “Couldn't be better!! 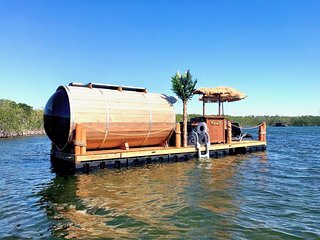 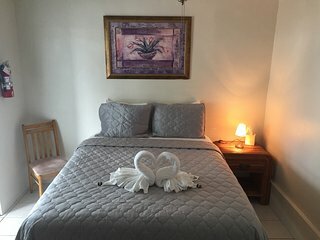 !” If you are looking to rest and relax, look no further. 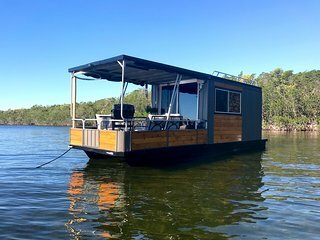 Breathtaking Views on Water !! 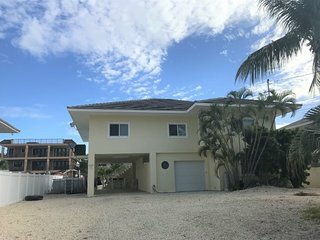 Beautiful Private Home with Beach Access. 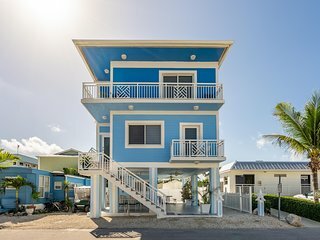 Come here to escape the bustle of everyday life, relax, and watch the blue waves roll onto pristine stretches of sugary white sand. 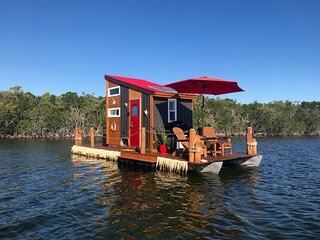 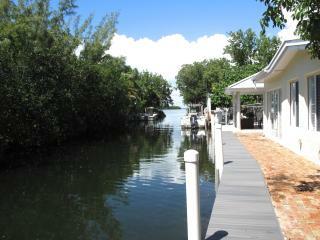 Located across the Buttonwood Sound from Everglades National Park, Key Largo is a perfect vacation paradise. 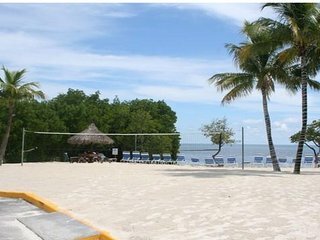 While you are here, be sure to take advantage of Kay Largo's proximity to The John Pennekamp Coral Reef State Park, one of the best protected and extensive reef systems in the country. 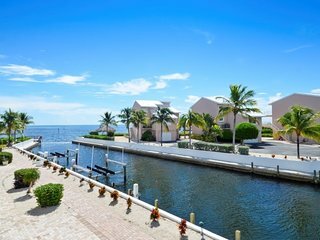 The colorful fish, sea turtles, and marine life will inspire and amaze you. 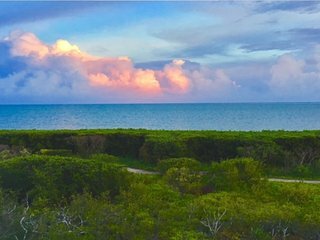 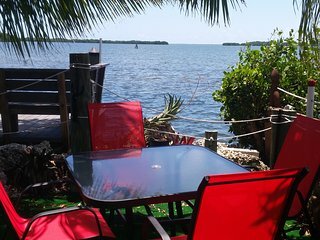 Make time to hike the trails of the Crocodile Lake National Wildlife Refuge, stroll Key Largo's quaint shopping districts, visit the local museums of the Keys, and play a round of golf on the emerald green courses of Islamadora too! 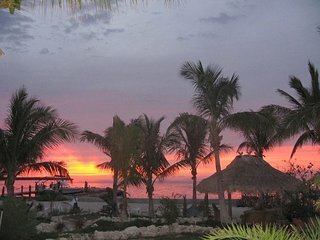 At night, enjoy some of the freshest seafood and dance until the sun comes up at the relaxed, fun-loving bars and night clubs in the area. 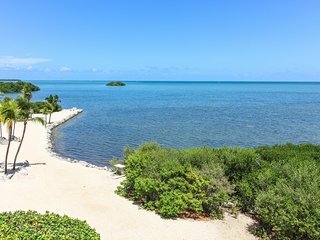 Go on a scuba diving or snorkeling adventure: The Florida Keys are home to miles of breathtaking coral reefs, and diving is a great way to explore the colorful diversity of this marine ecosystem. 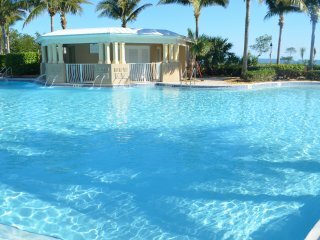 Swim with dolphins: Visit one of the aquariums in the area that offer a close encounter with these extraordinary animals. 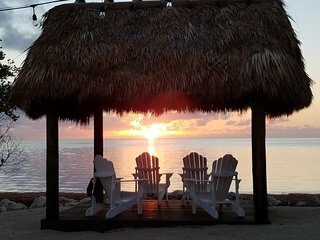 Take an eco-tour by boat: Rent a kayak and explore the coast on your own, or take a guided tour and learn more about the native plant and animal species that inhabit the protected parks of the Keys. 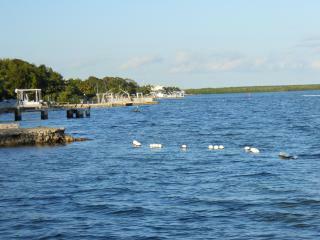 Go on a whale watching excursion: This is an excellent way to meet whales and dolphins in their natural habitat. 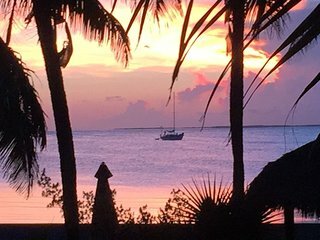 Go parasailing: Experience the exhilaration of flight and see the stunning deep blue waters and white sands of Key Largo from the sky. 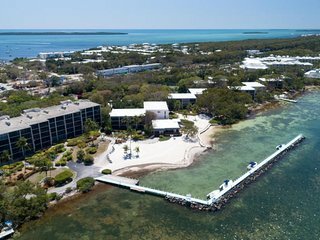 Enjoy the nightlife: Feel the energy of Key Largo at world-class restaurants and night spots like Alabama Jacks, The Buzzard's Roost, and the Caribbean Club. 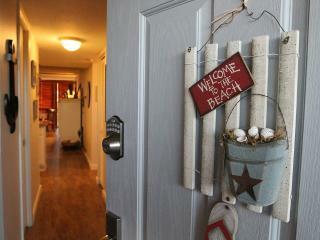 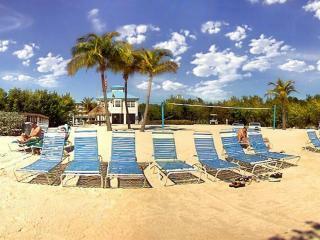 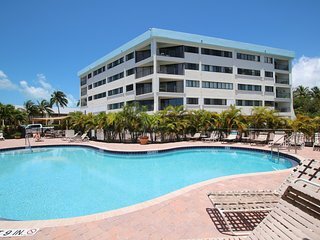 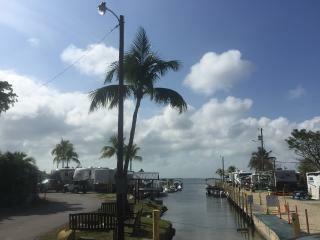 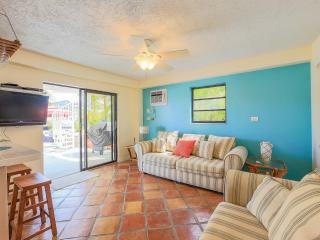 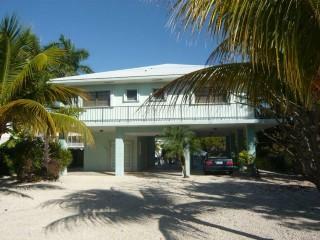 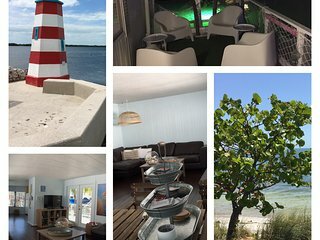 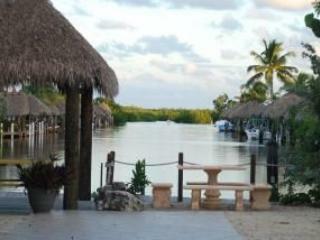 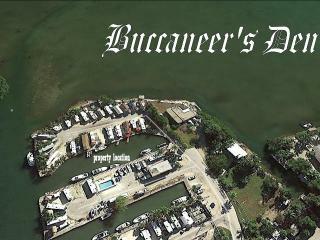 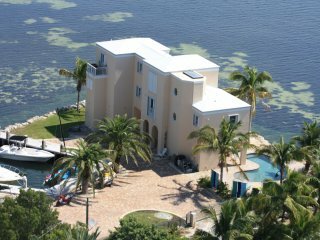 As you plan your trip to Key Largo, you'll need to find a place to stay. 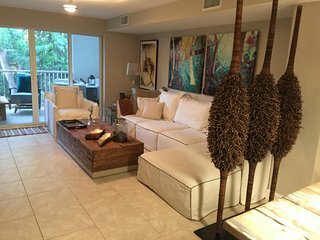 You can easily rent a trendy, elegant condo, a summer home within steps of the beach or a villa with breathtaking views of the ocean. 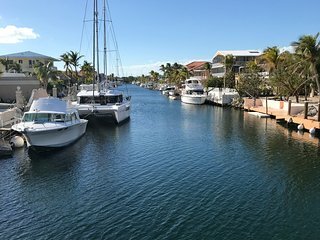 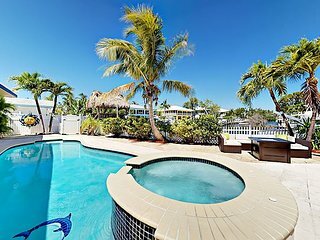 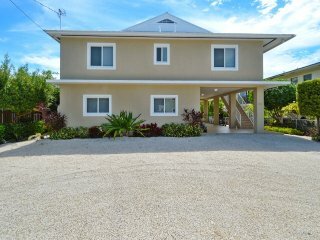 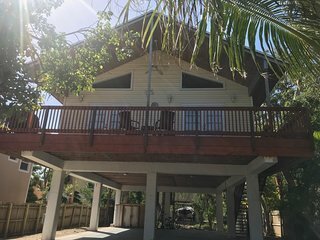 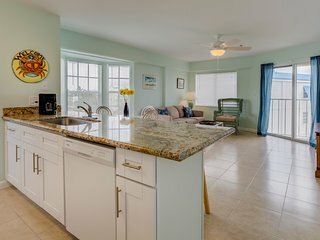 Whatever you're looking for, you shouldn't have any trouble finding a vacation rental in Key Largo that meets your needs.